Built in 2003 and sister ship of Crystal Symphony, Crystal Serenity is another leading luxury cruise liner operated by Crystal Cruises. The vessel is 250m in length, with 9 passenger decks and a capacity of 1 070 passengers. A current Kudos project, our work scope includes all aspects of the interior design, material selection and specification for 2 new Penthouse Suites and 36 new Pent­house (mini suites), as well as guest corridors in these areas. Both the Penthouse and Penthouse Suites are newly constructed rooms, created by combining existing Deluxe cabins. The project is scheduled for completion at the end of 2018. Due to the spacious layout, thoughtful functionality and fully-customized furniture, the new Penthouse and Penthouse Suites are modern classics, reflecting the new generation of Crystal Cruises and their guests. On arrival the new corridor design gives an uplifting first impression for the luxury travellers. Entering each Penthouse, shared corridors are highlighted with the light features, which help guests find their room. Corridors have interesting art pieces to brighten up the pathway through to the new rooms. Inside the view is the most important feature of the new cabins, accented by the interior design. Carefully selected materials and special design details make the guests stay as comfortable as it gets. Penthouse Suites are functional while offering the most desirable amenities, including a luxurious winter garden, a beautiful bathroom with luxurious shower experience and a spacious walk in closet. The new Penthouses are a must for guests wanting to enjoy their cruise adventure to the fullest! Crystal Endeavor is the world’s first purpose-built polar code compliant yacht in the world. This expedition mega yacht can accommodate 200 guests in 100 suites and same number of crew. Kudos is responsible for all aspects of the interior design of the guest suites and corridors, as well as all crew areas and cabins. Crystal Endeavor will be built by MV Werften in Germany and is scheduled for completion in 2019. Built in Turku in 1995, the 238 meter Crystal Symphony is one of two sister cruise ships operated by California based world-renowned luxury cruise line Crystal Cruises. A successful marine interior project by Kudos, as part of refit project to replace smaller guest cabins onboard the Crystal Symphony, with new pent­houses and penthouse suites. Our work scope has included all aspects of the interior design for 28 new Seabreeze Pent­houses and 12 new Seabreeze Penthouse Suites, as well as guest corridors in these areas. 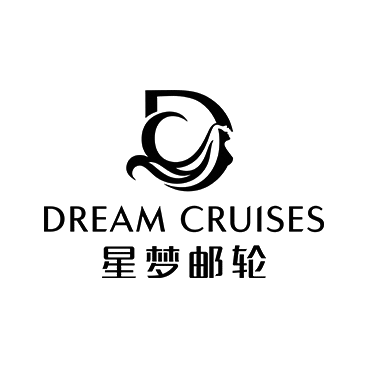 The new Dream Cruises Global Class vessels are designed with Chinese characteristics and will be the first purpose built cruise ships operated for the con­temporary Chinese market. The 201,000 GT vessels will be over 340m long and 45m wide and are designed for worldwide cruising. A new Kudos project, our work scope includes interior design, material specification, furniture and fixture design for the passenger cabins and suites, VIP indoor and outdoor areas and crew cabins. The Dream Cruises Global Class vessels are being built by MV Werften, in Wismar Germany and is scheduled for completion in 2020.